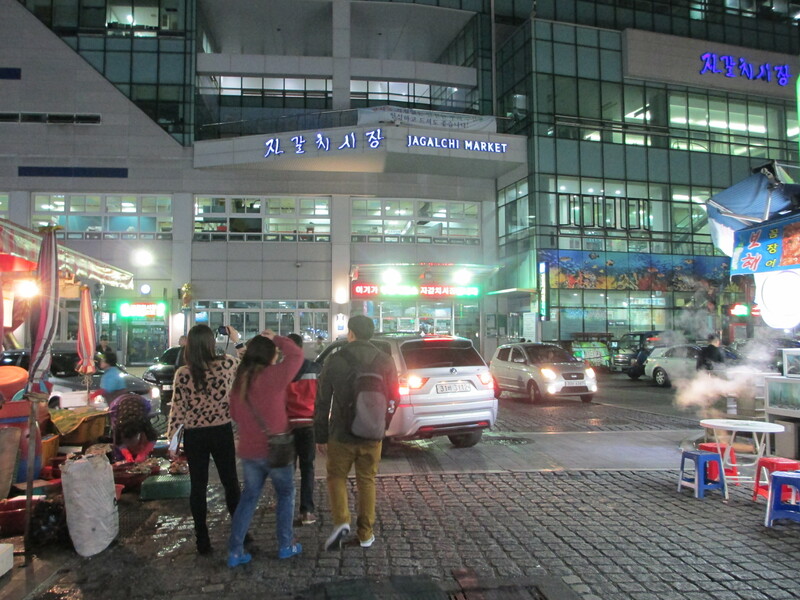 After spending the night at 24 Guesthouse in Seoul, we walked to Seoul Station and took the train to Busan. It was a tiring day of walking with our luggage! 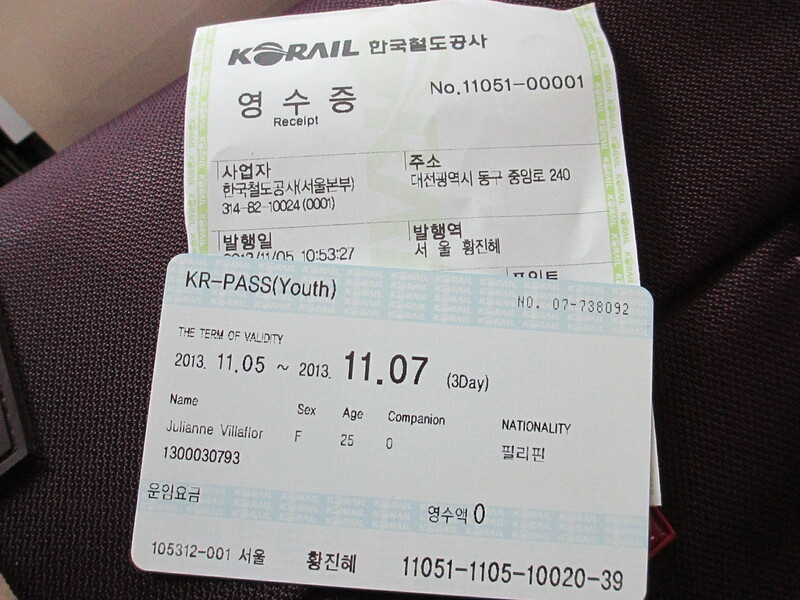 We purchased a 3-day unlimited Korail pass online for KRW 67,700 each. (Check the price list here) It would be better to book online ahead of time. 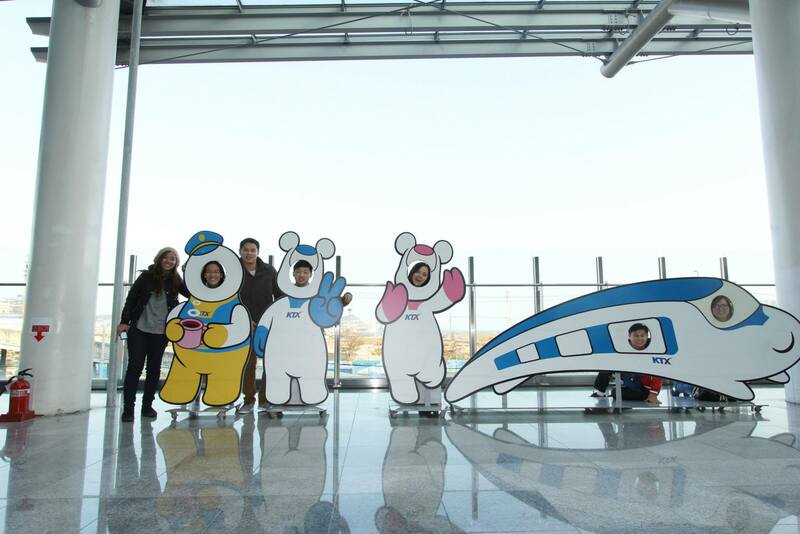 The Korail pass is for those who will be travelling outside Seoul. Otherwise, there’s no need to buy one. 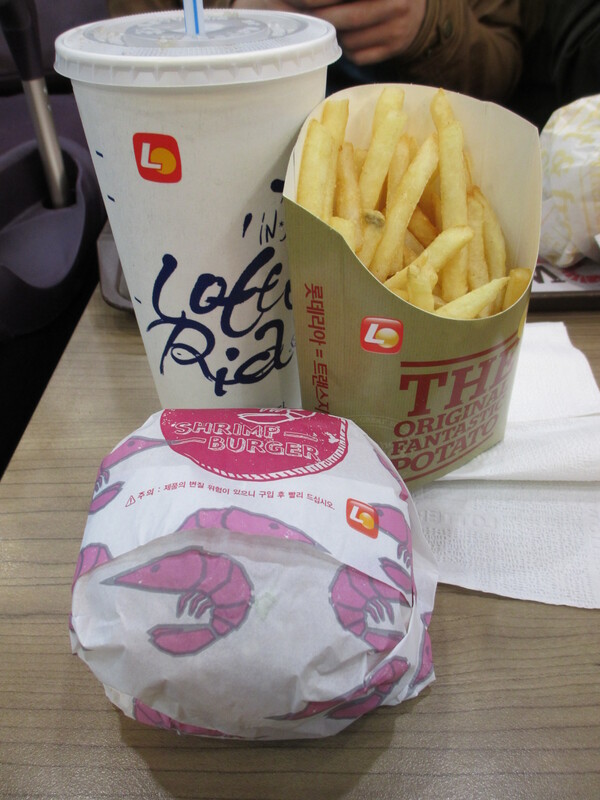 We had lunch at Lotteria inside Seoul Station. Their Shrimp Burger Meal was my favorite! 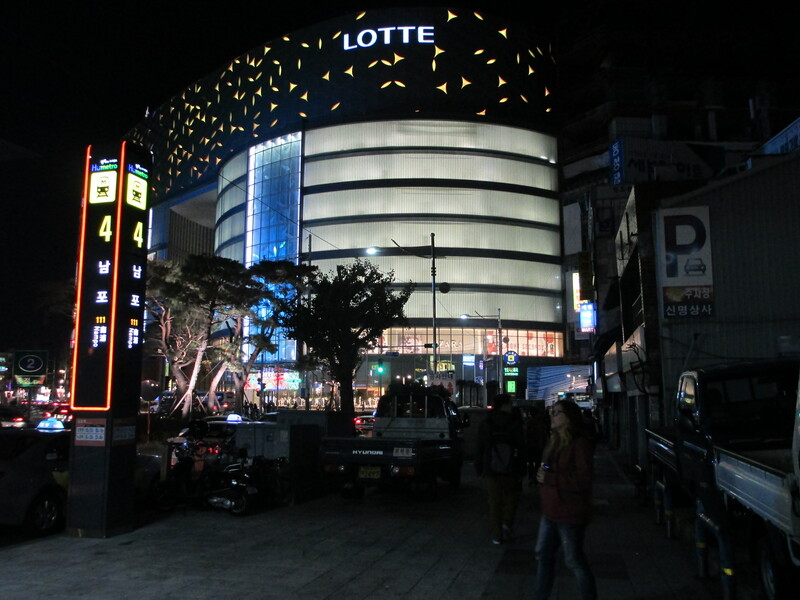 Lotteria is a popular fast food chain in South Korea. Restrooms in Seoul Station are clean plus this unique soap+soap holder caught my attention. Cool. 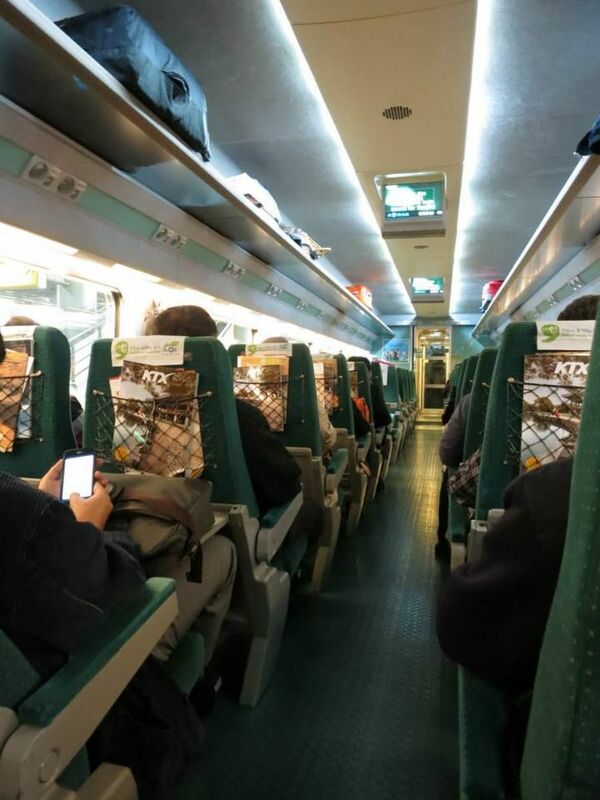 Seoul to Busan: 2 hours and 40 minutes. The seats were pretty comfy. As I was flipping through the pages, I noticed this ad with two men. 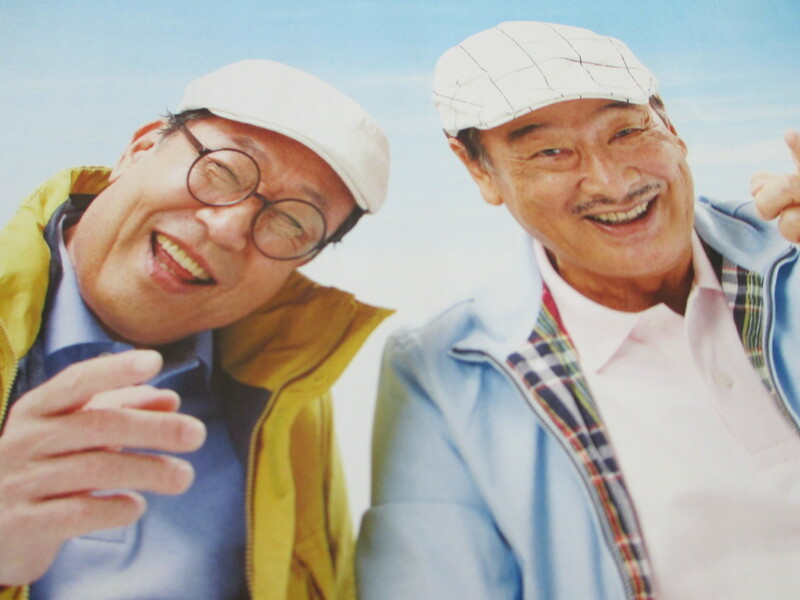 The one on the right looks like the late King of Comedy. 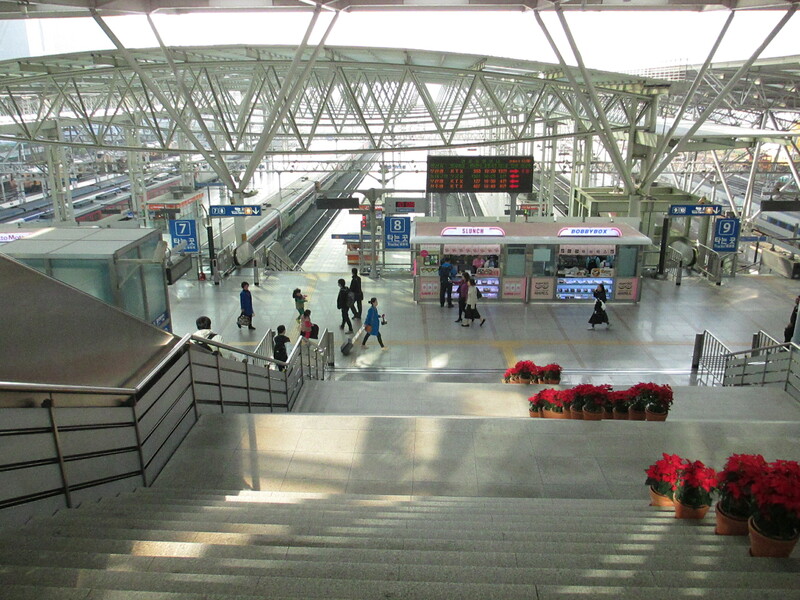 At Busan KTX Station. I was surprised to see that huge ad there. 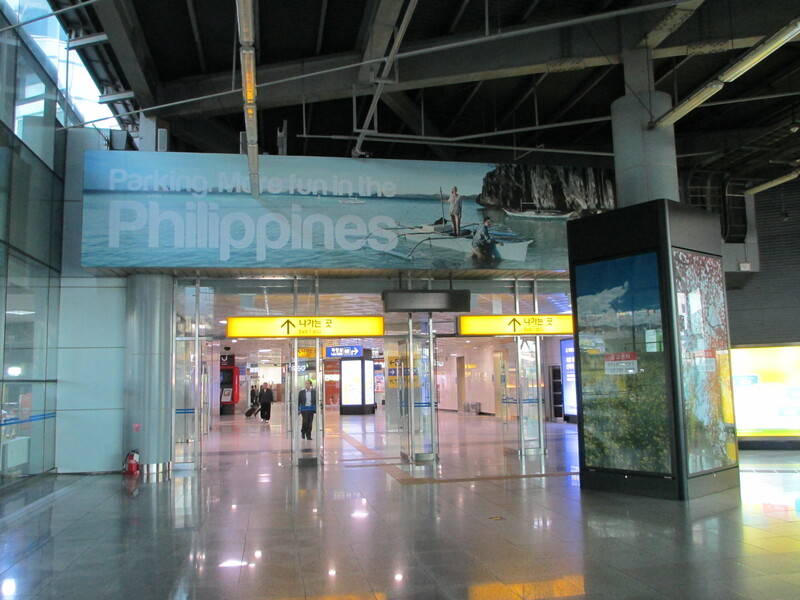 Our government is quite aggressive in inviting more South Koreans to visit the Philippines. 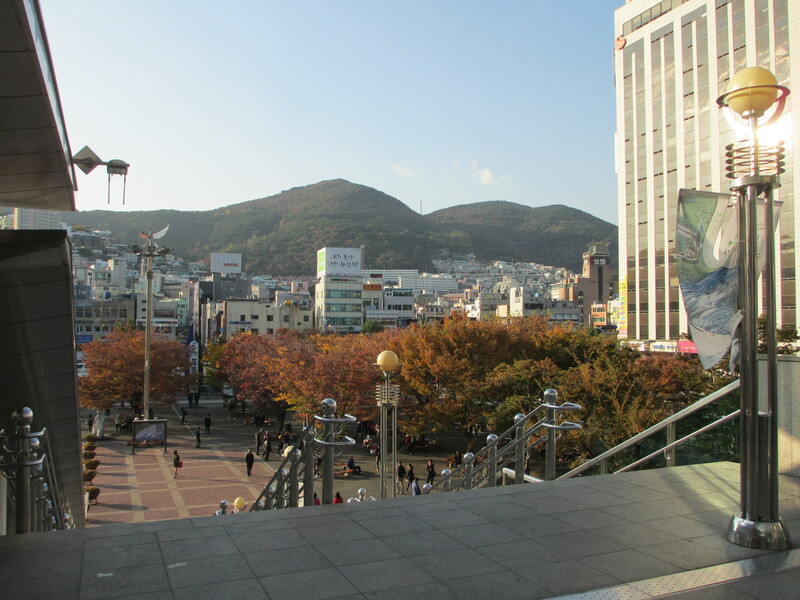 When we got out of the station, I was mesmerized by the view–mountains, autumn trees, white houses and buildings! 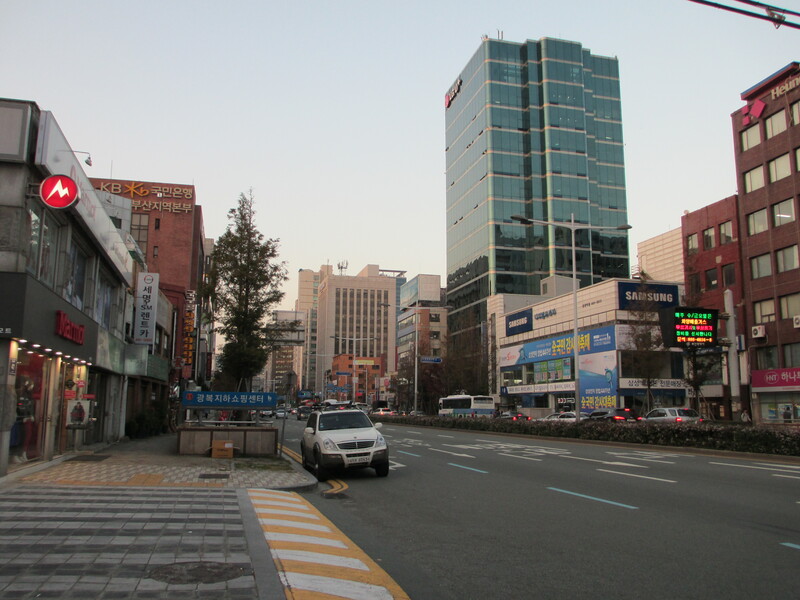 This city looked totally different from Seoul. 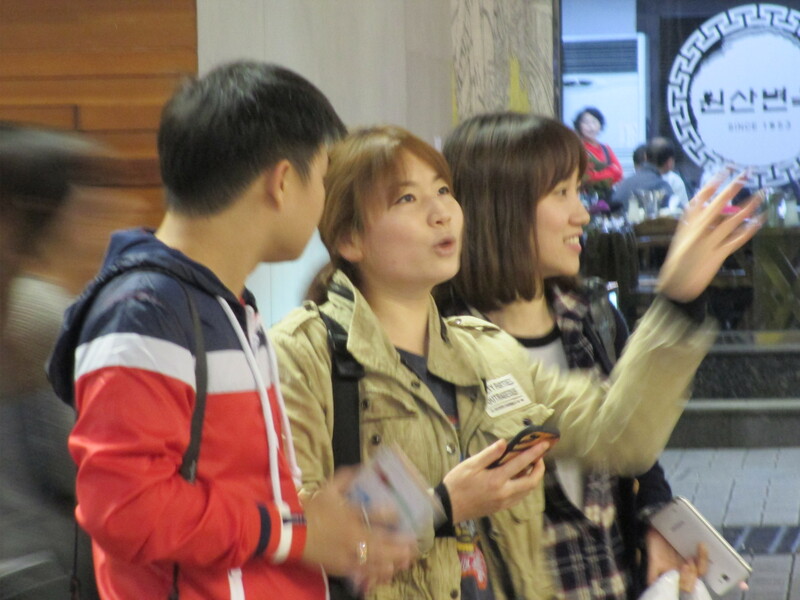 Since we couldn’t speak Korean and the drivers couldn’t speak English, we showed them our hotel’s address through the Ipad. 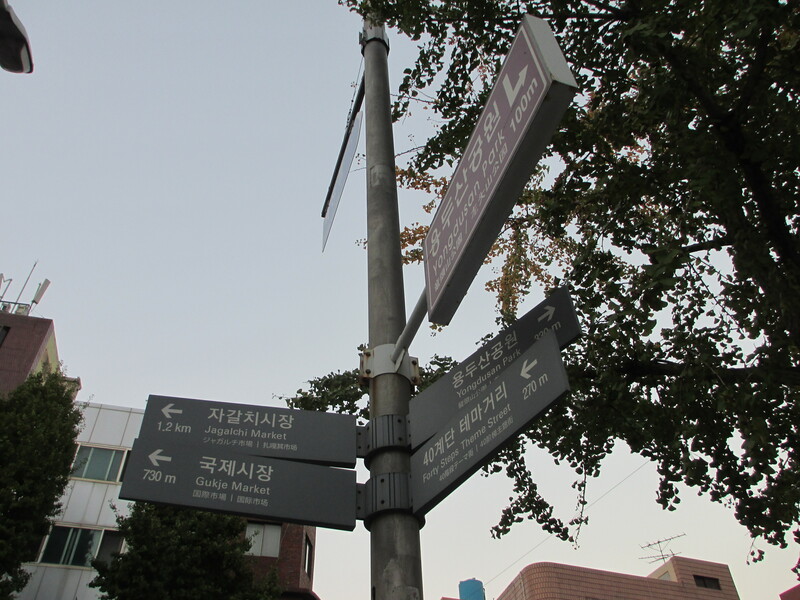 It was a good thing that we also prepared the address in Korean characters. We took three cabs. We arrived at our hotel and we could finally leave our luggage. 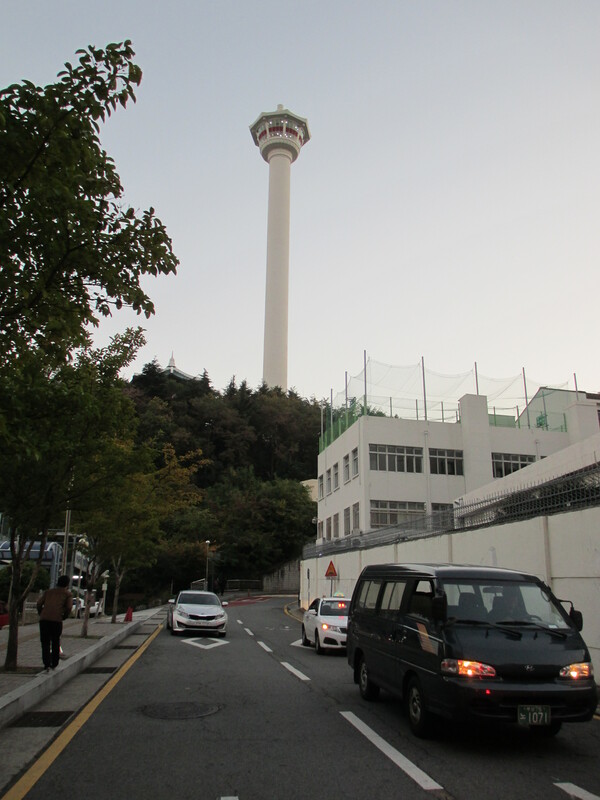 Tower Hill Hotel is a 15 to 20-minute ride from Busan KTX Station. (Check this website for their rooms and rates). A part of this hotel is literally on a hill. 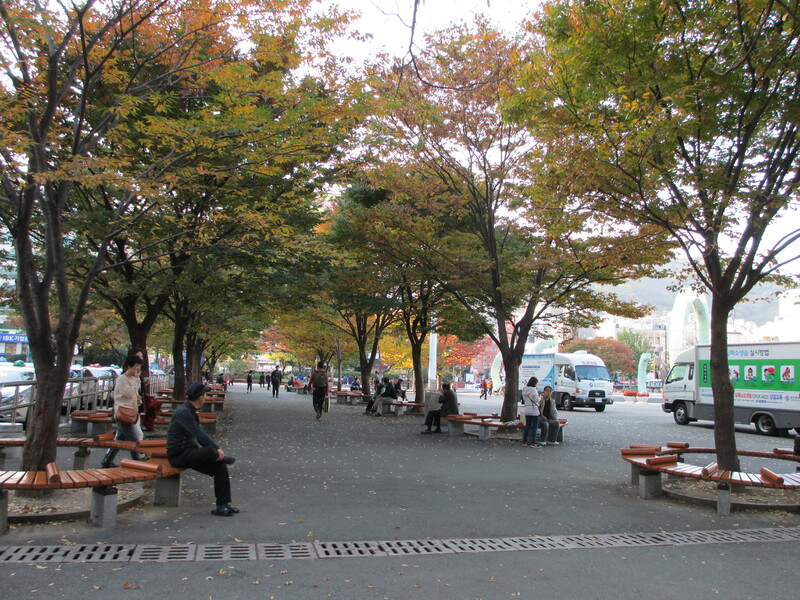 What makes Busan’s streets interesting? 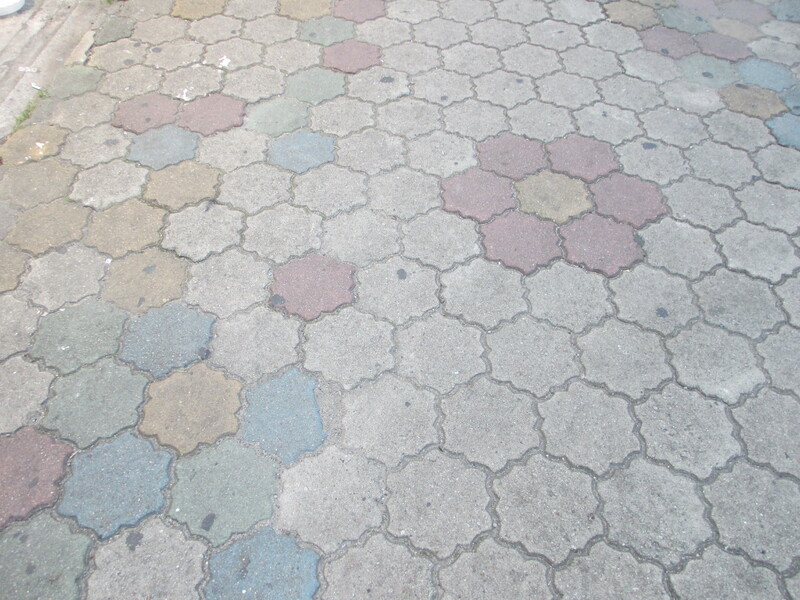 The roads are made of tiles! We went out to explore the city. What? 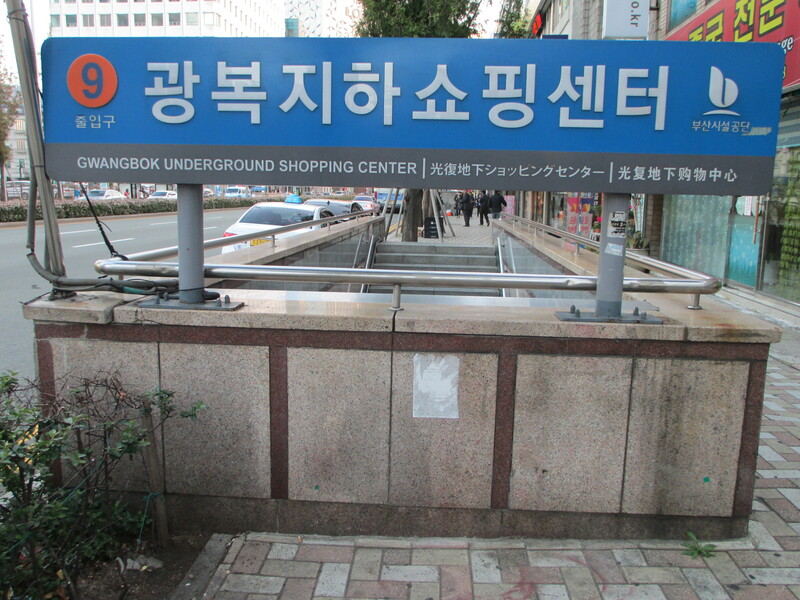 An underground shopping center?! 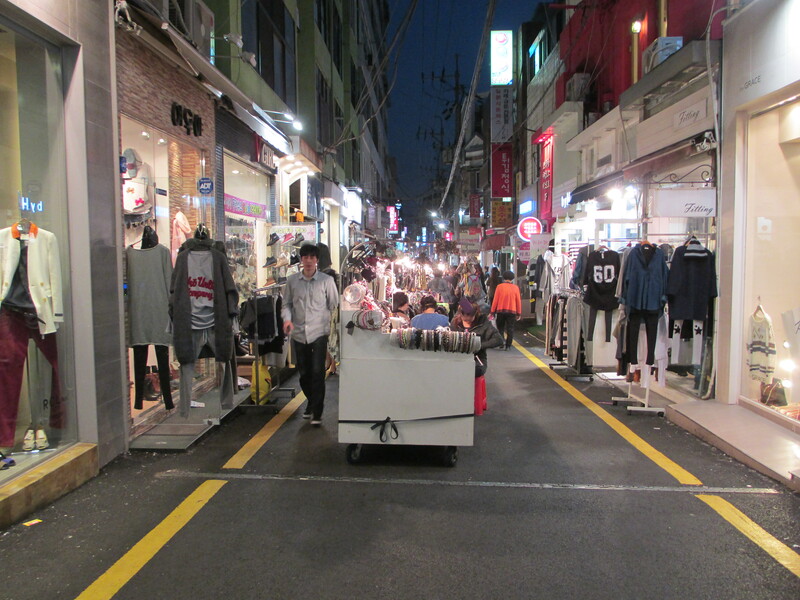 There are a lot of nice stuff for sale near the Gukje Market area. It looks expensive but it’s actually quite affordable. 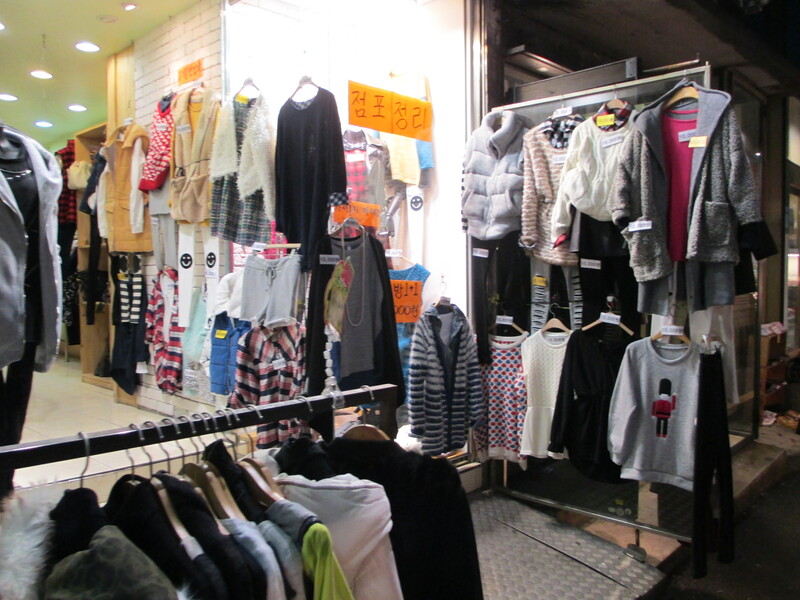 The clothes for sale are seasonal. 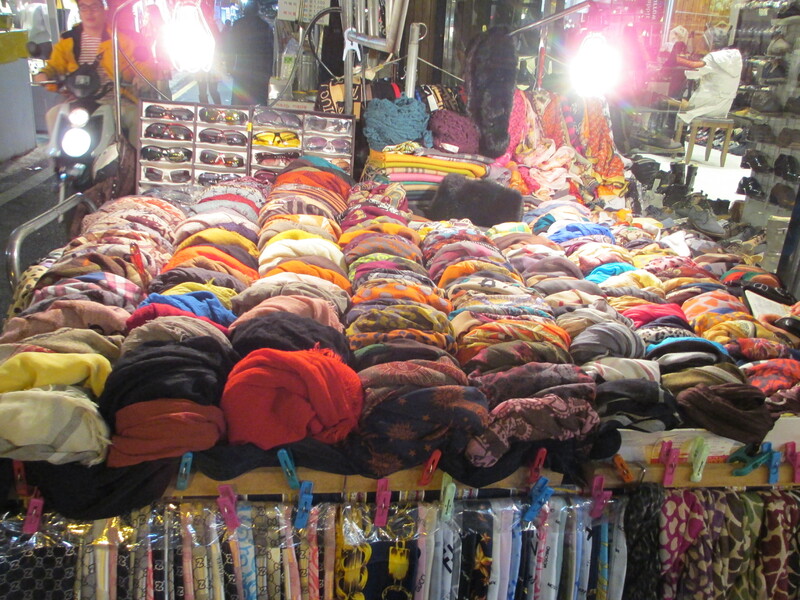 There were only a few being sold that are fit for a tropical country like the Philippines. 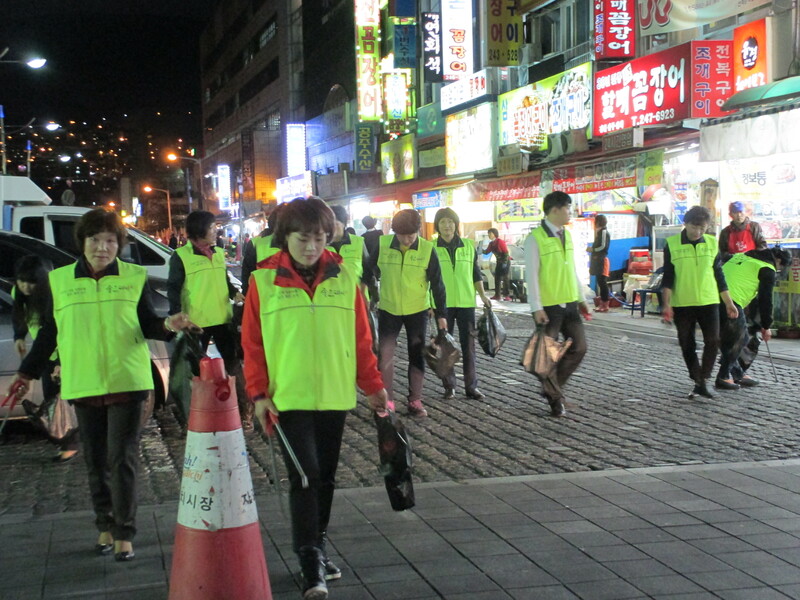 Whenever we got lost, we would prefer approaching high school or college students for directions. They are most likely able to understand/converse in English. 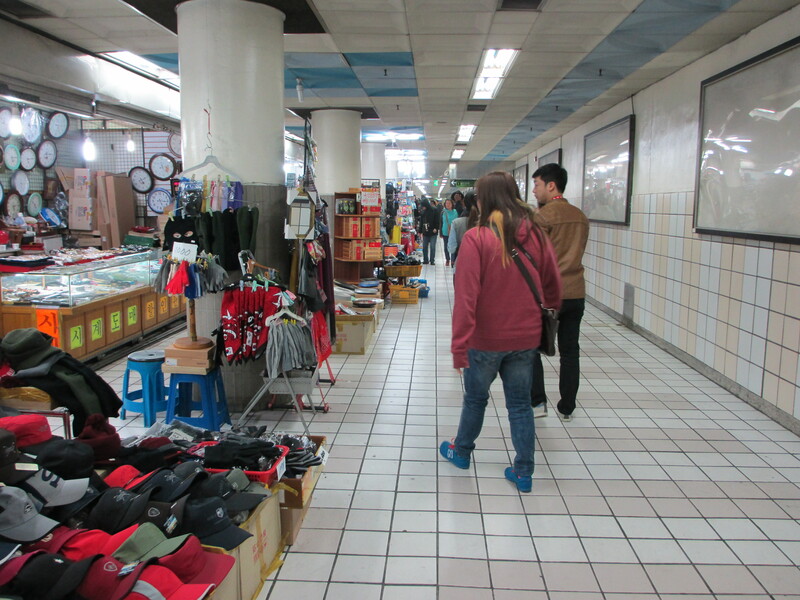 We were looking for the famous Jagalchi Market. 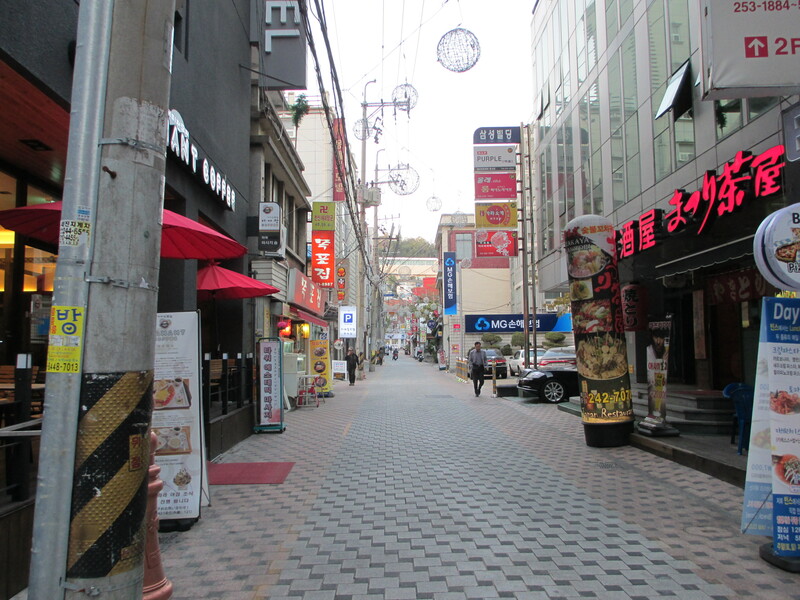 I really admire the South Koreans for always making sure that their streets are clean. 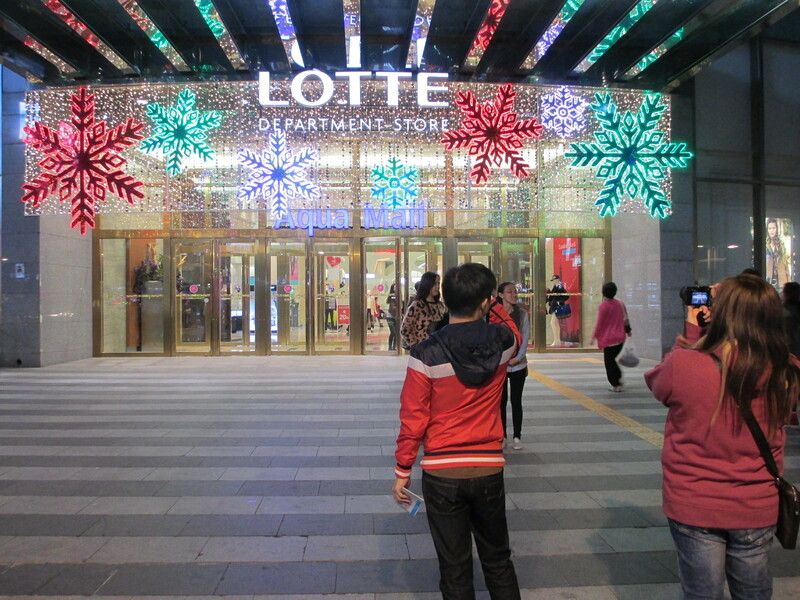 We walked from Jagalchi Market to Lotte Department Store (Gaya-daero, Busanjin-gu, Busan). 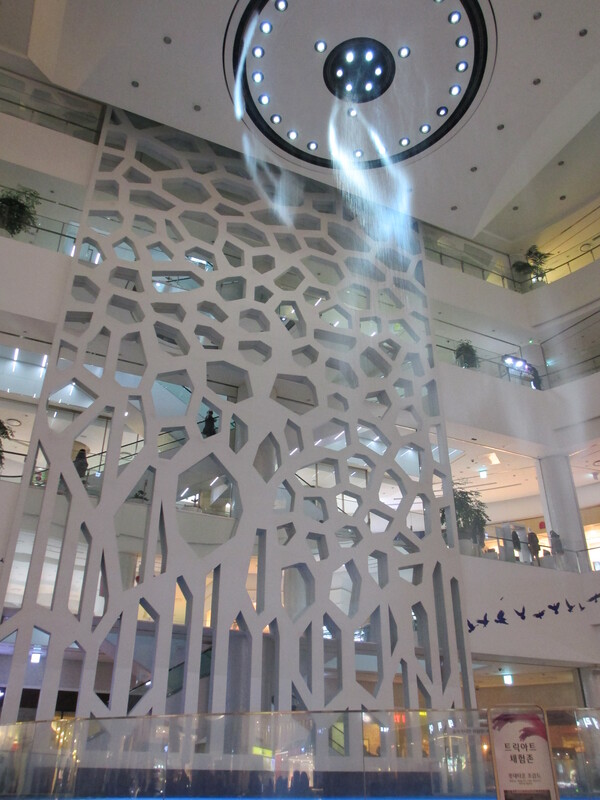 Those shapes surrounding “LOTTE” changes color from time to time. We waited for the Water Fountain Show and took a seat on the benches around the fountain area. I really expected that it was going to be really beautiful but I got disappointed. There was something wrong with the lights. We didn’t wait for the show to finish and then we left. 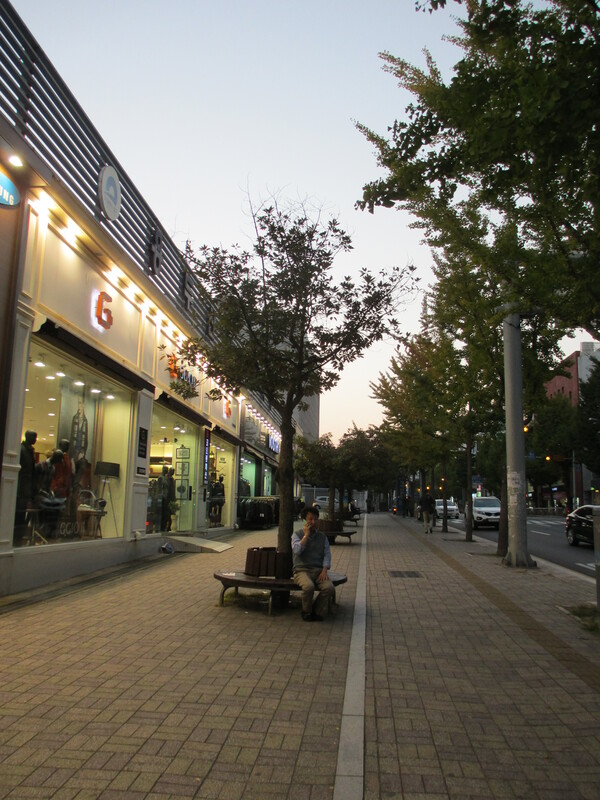 From Lotte, we walked to the subway and took two trains to Kyungsung. 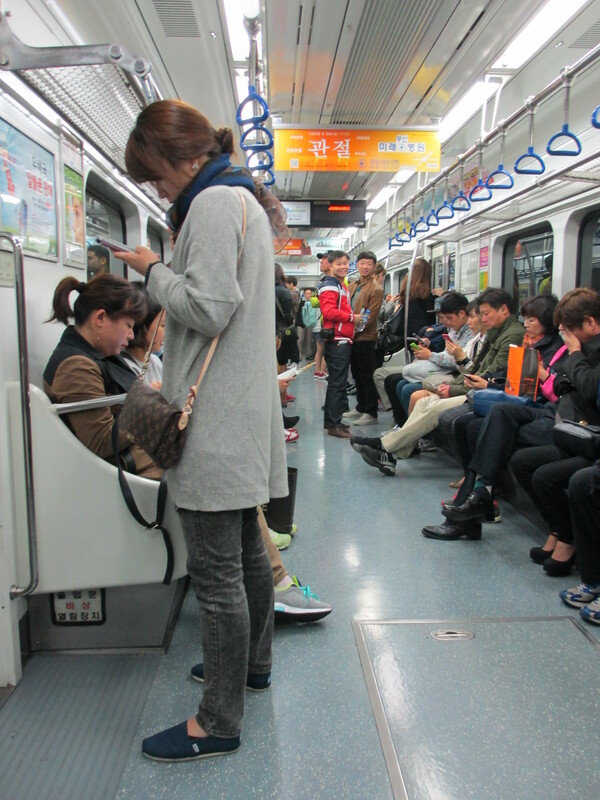 There are automatic machines inside Busan’s stations where you can buy paper/card tickets. Click here for the fare and more info. 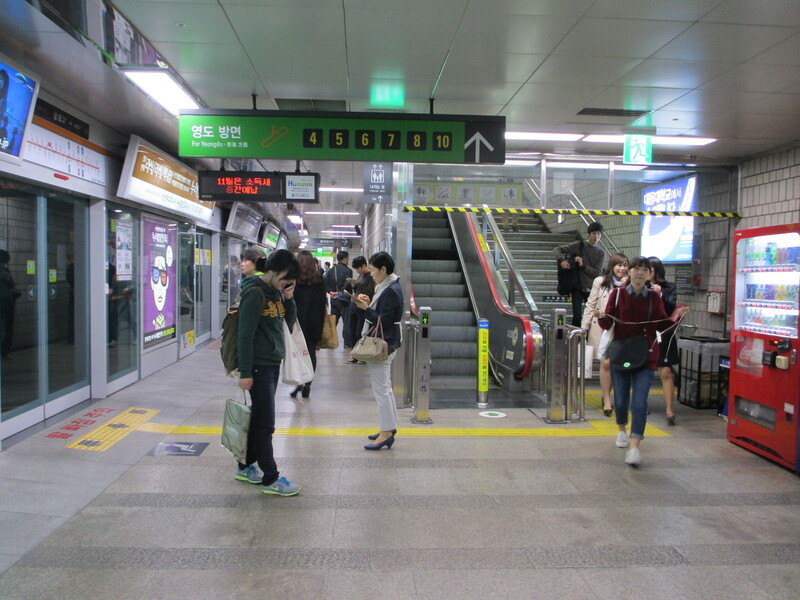 Jagalchi to Kyungsung Station: 1 transfer, 42 minutes. 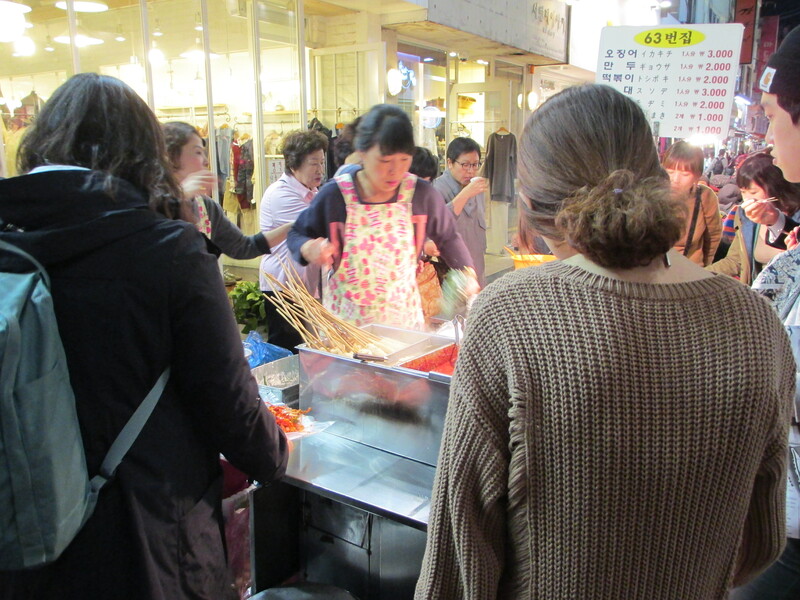 Popular Korean street food: Ddeokbokki 떡볶이 – Spicy Korean Rice Cakes (left) and fish cakes on stick (right) KRW 1,000-2,000. 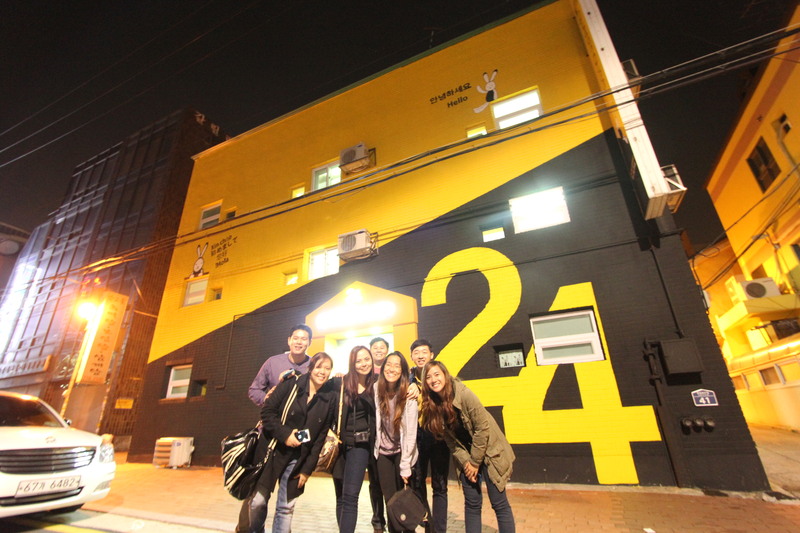 If you walk around the streets of Busan, you’ll see these almost anywhere. 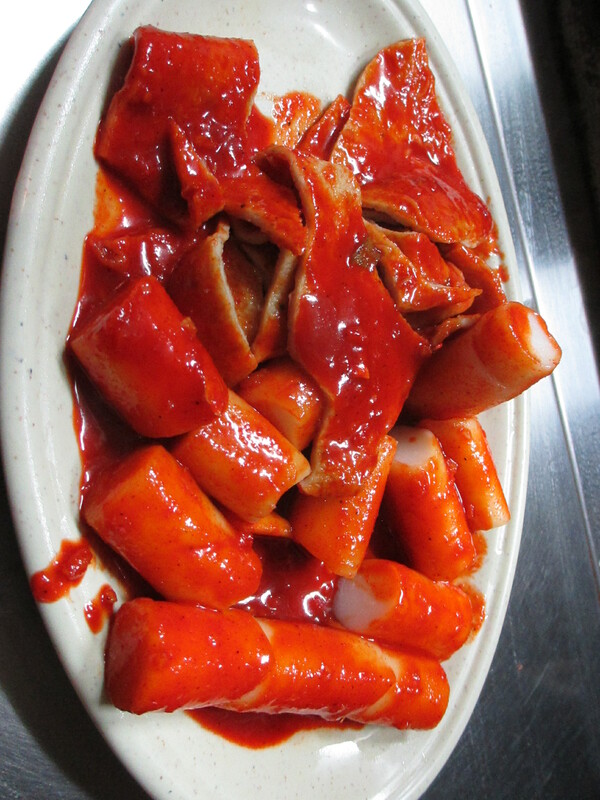 The Ddeokbokki looked very enticing because of its color. I had a feeling that it was very spicy but I wanted to try it. 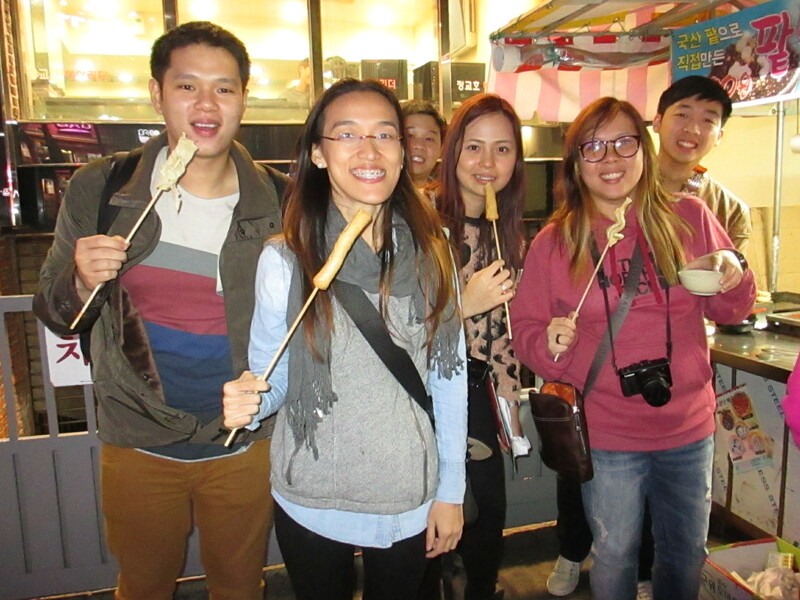 There were college students who were eating beside the stall. When they saw us, they encouraged us to try. After I took my first bite, I told myself that I’m never going to eat one again! HAHA! It was too spicy and I have a very low tolerance for spicy food. The students looked at my reaction and laughed. If I saw myself, I would have laughed too. 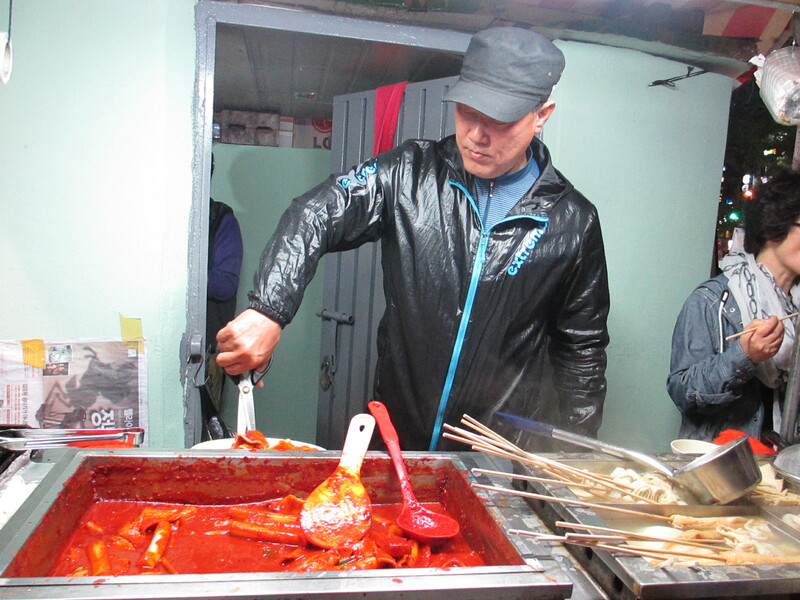 If you don’t want to eat anything spicy, you can try the fish cakes instead. I really liked it. It reminds me of our own fish balls in the Philippines but the difference is: we fry it and South Koreans cook it on boiling water. What’s this long line for? 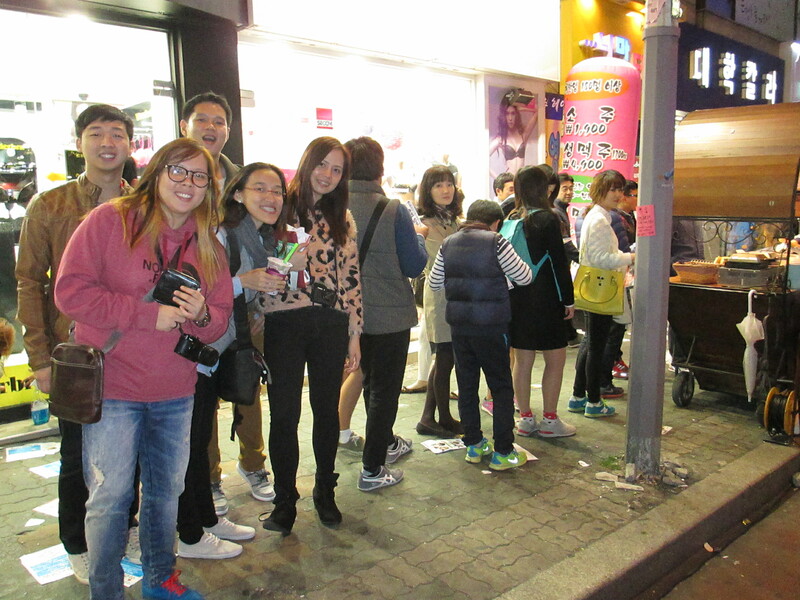 We continued to walk and saw people who lined up as if they wanted a celebrity to sign for an autograph. It was actually a waffle cart. Wait. What? 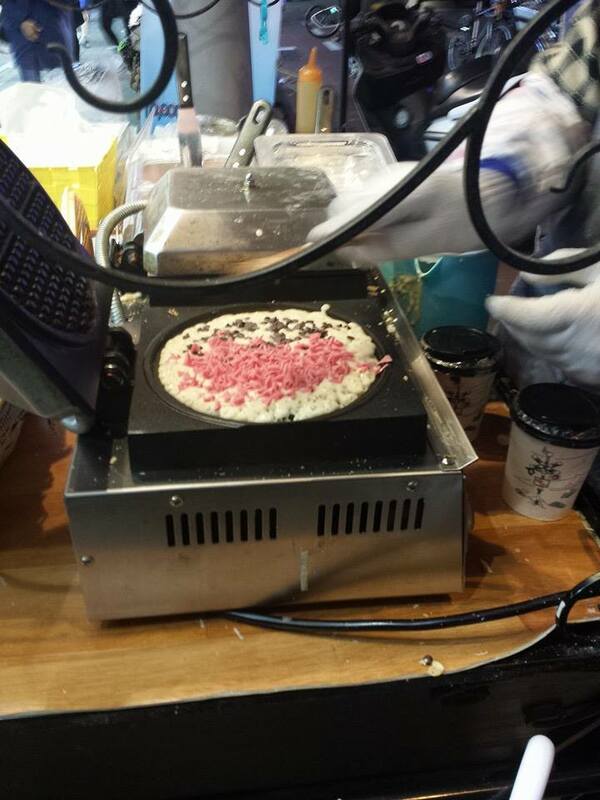 A waffle cart?! We got curious so we lined up too. It actually took him so long before he could finish giving out the waffles. I got curious, went near him and watched while he made those. 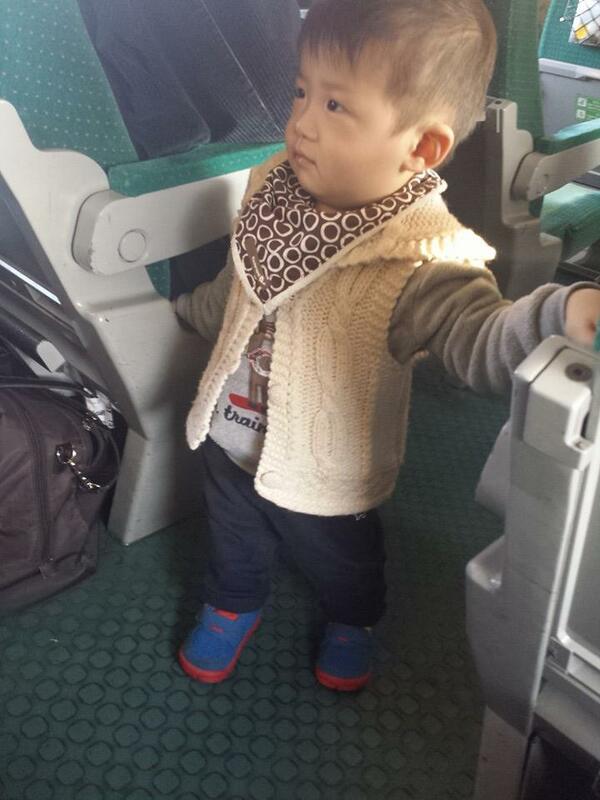 What made him very interesting was his cute apron and he was always smiling! 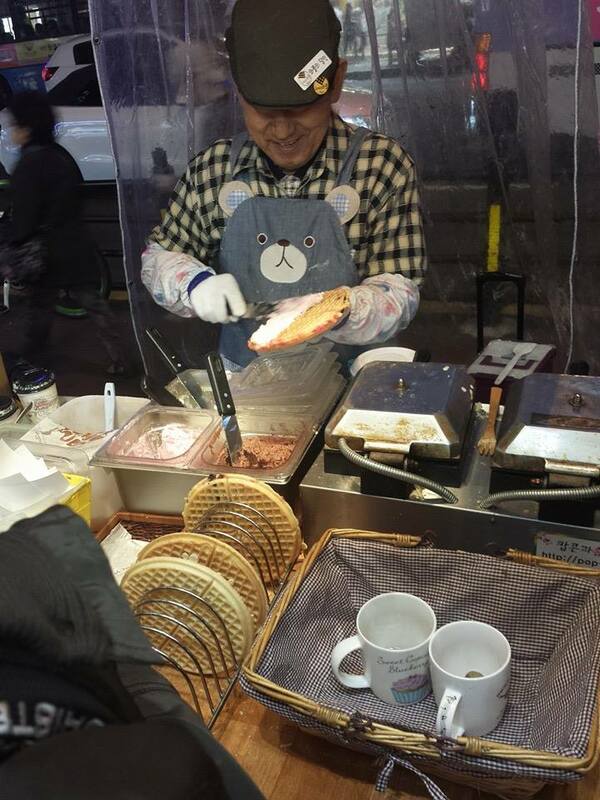 I realized that he was making those waffles with passion (no kidding) plus he was building rapport with his customers. His waffles were very special. You can request for chocolate and strawberry sprinkles + chocolate and strawberry cream for no extra cost. No wonder his customers didn’t mind the long line. 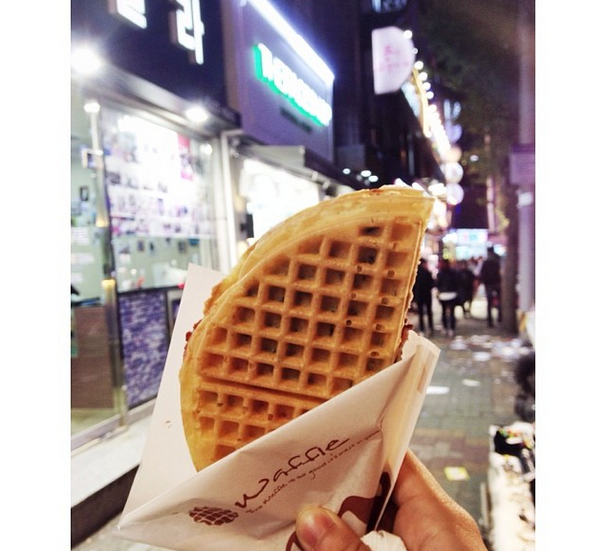 The waffle was very delicious although it was too sweet. I couldn’t finish the whole thing in one sitting. 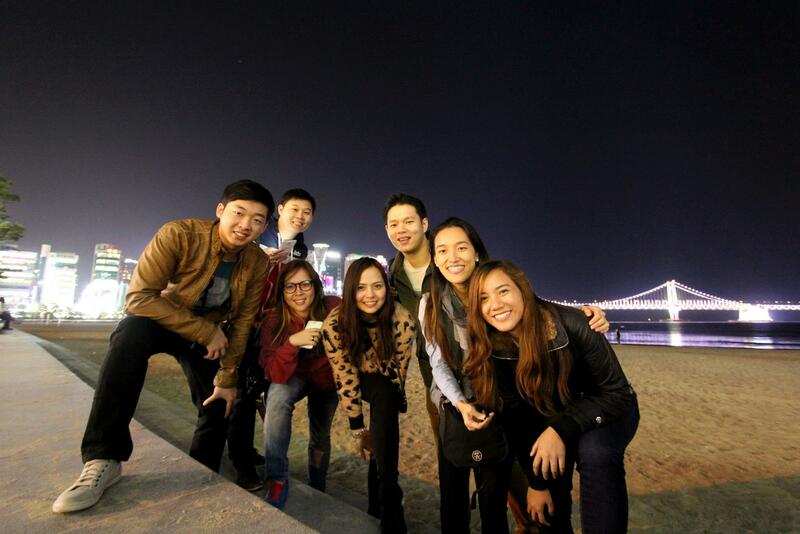 From Kyungsung, we took a cab to Gwangalli Beach. 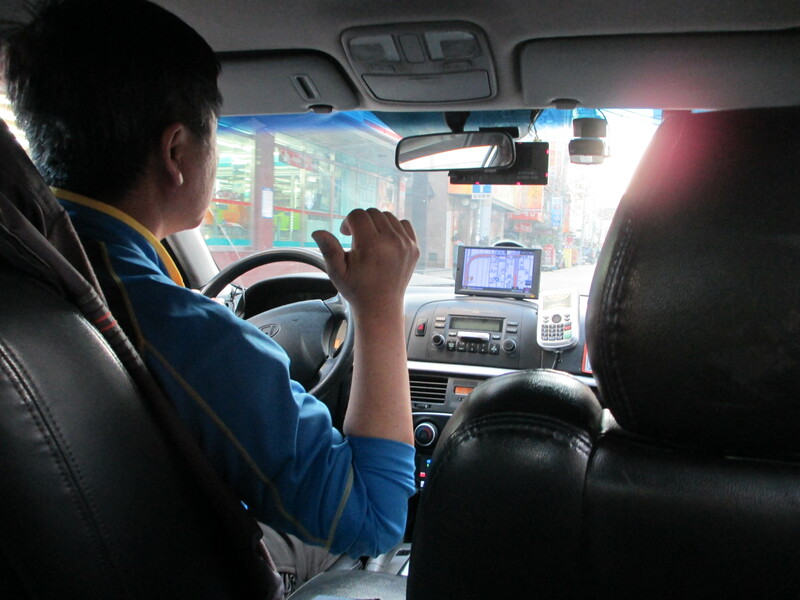 Taxi ride: around KRW 8,000. We took 2 cabs: one for the boys and the other for us girls. 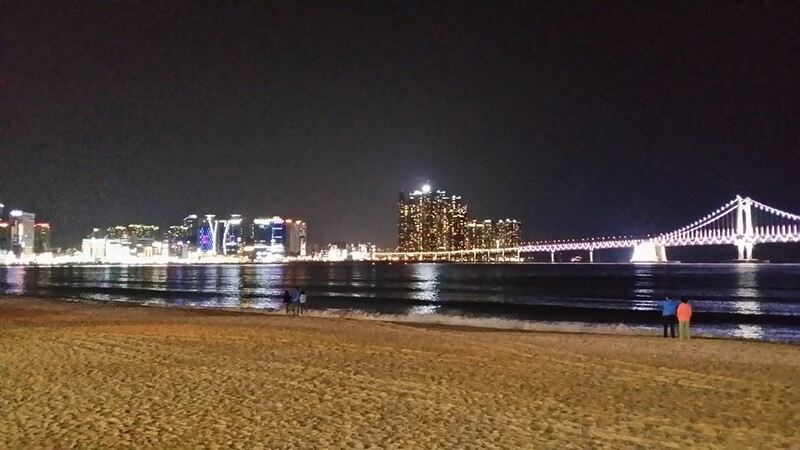 We only told the driver to take us to Gwangalli Beach but we didn’t know that the beach was really big! 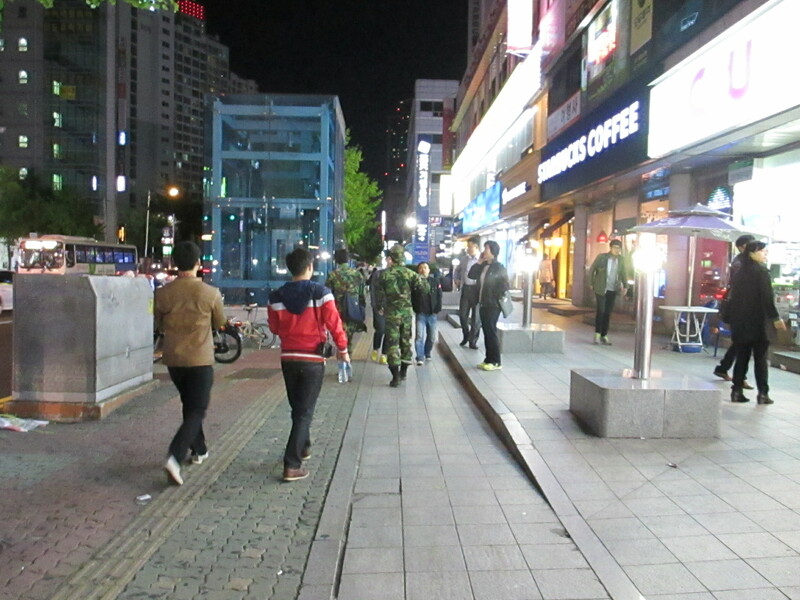 When we arrived there, we couldn’t find the boys. Thank God for free wi-fi, we were able to communicate through Facebook and we found out that the taxi driver dropped them off on the other end of the beach. We didn’t stay long. It was already so cold. 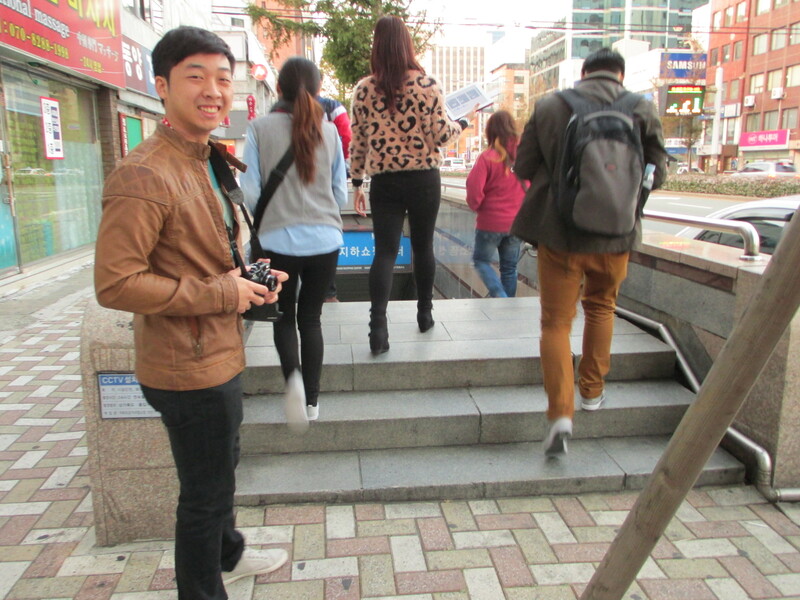 We took a cab from Gwangalli Beach to our hotel. We were already too tired to commute. 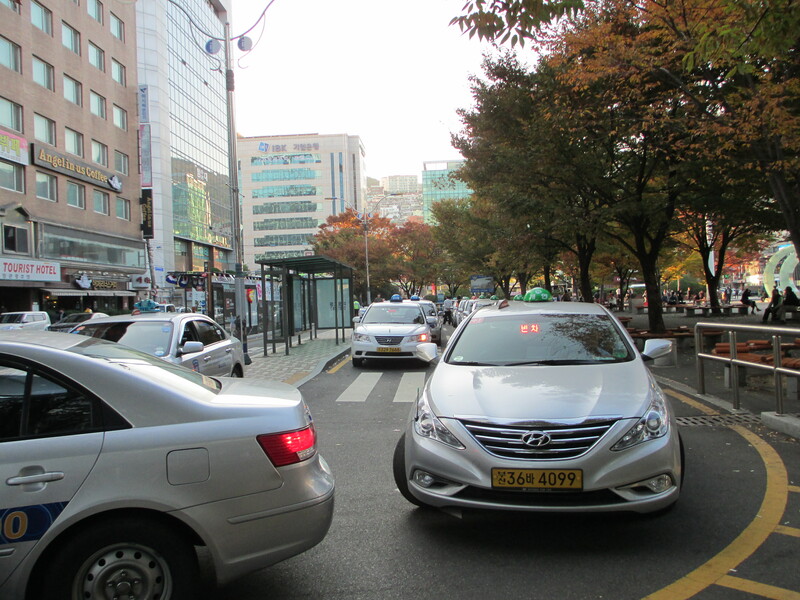 Taxi fare: around KRW 12,000. 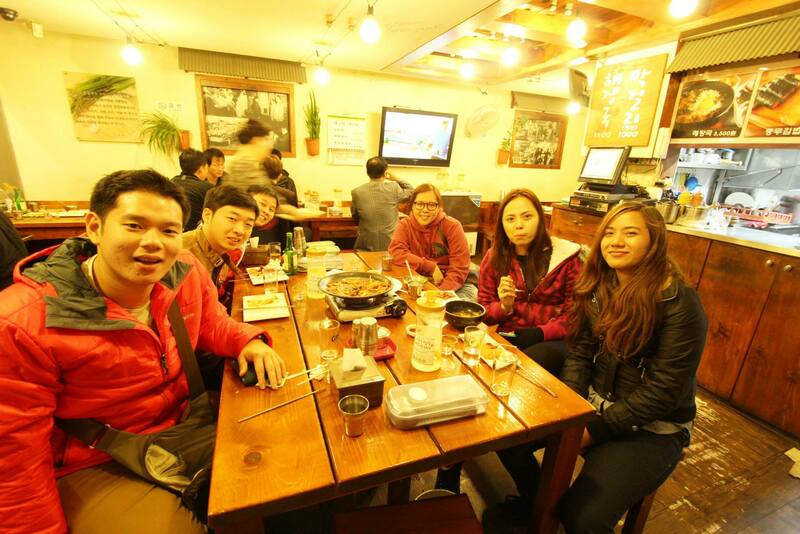 We had our late dinner at a Korean restaurant near our hotel. I had Kimbab (KRW 5,000). It was my first time to try it and it was okay. That’s what I’d look like if I get very tired and sleepy. LOL It was a long and tiring but fun day. I looked forward to the next day but I badly needed to sleep. P.S. 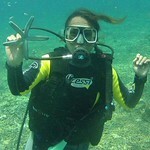 The photos were taken using a camera phone and digital camera. Credits to Lhynx Lim, Joan Villahermosa and Raynier Go for some of the photos that were used for this blog. 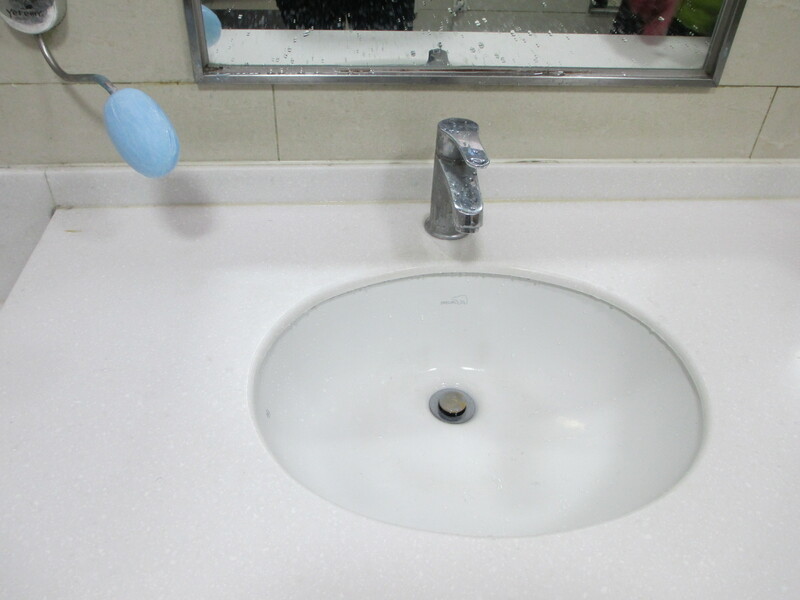 That soap holder is so cool. And I love the spicy rice cakes! Yum! 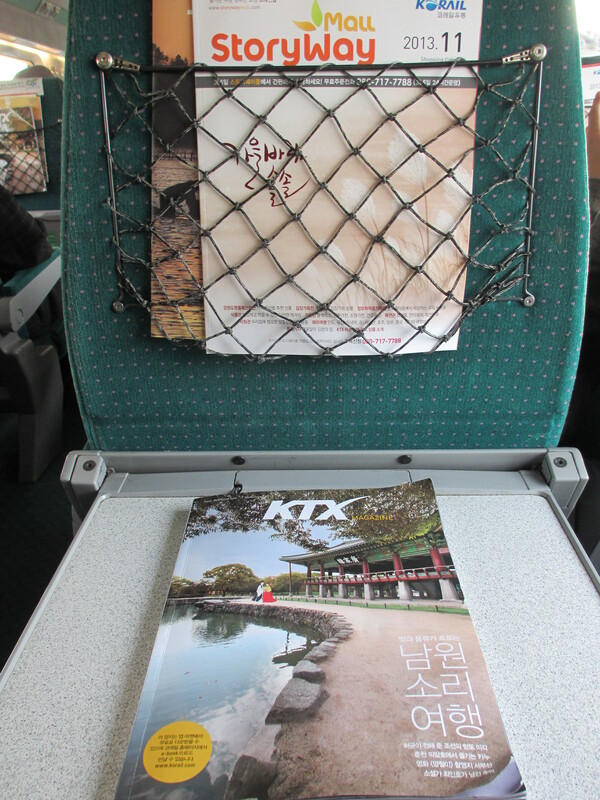 How did you validate your KTX tickets? I can’t make heads or tails of the website. Thanks. if you’ve already purchased the e-ticket through the website, print it and just go to the information desk at seoul station to exchange your printed copy for a kr pass. they’ll need to check your passport too.